The Smart Advertising Products Company announces the launch of their website http://www.smartadvertisingproducts.com as its vehicle for delivering their outstanding promotional products, of the highest quality available, to clients throughout the globe. The Smart Advertising Products Company announces the launch of their website as its vehicle for delivering their outstanding promotional products, of the highest quality available, to clients throughout the globe. 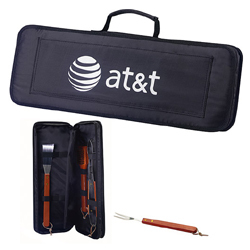 With exceptional customer service as Smartadvertisingproducts.com's foundation, they are able to offer a multitude of products to clients looking to purchase promotional materials of all sorts for their organization and/or cause. It is the hope of the Smart Advertising Products Company that their dedication to superior levels of customer service will only be enhanced by the recent launch of their website, http://www.smartadvertisingproducts.com. Smartadvertisingproducts.com presents a multi-platform product list to their clients of: apparel, drink ware, key chains, writing instruments, post it notes, etc. As well as the ability to create a customized logo for implementation into the products to which their clients purchase. The website will now offer clients of Smart Advertising Products the ability to review, design, and purchase their products at anytime of day, and day of the week without the hassles involved in physically visiting a company's store site. Again, this is all for the purpose of remaining a customer friendly and service dedicated company. Smart Advertising Products hopes their website will continue to provide quality promotional products, while generating a substantial branding mark and educating others on the inherent benefits of promotional marketing. According to a recent study, "76.1% of respondents could recall the advertiser's name on a promotional product that they had received in the past 12 months. In addition, 75.4% of respondents said they kept their promotional product because it was useful." In addition to the benefits associated with Smartadvertisingproducts.com's presence as an online resource for existing clientele, the company hopes to establish themselves with new clients seeking to drive traffic to their particular business or website, improve response of their direct mail campaigns, increase referrals, improve repeat business, as well as to improve employee morale. For additional information please contact Jeff Staab at 800.878.0832 or visit http://www.smartadvertisingproducts.com. Sizzler 5 Piece BBQ SetIncludes Stainless Steel tools with extra long handles Ethernet CordKeeps laptop plugs directly to computer a 6 foot retractable cord.